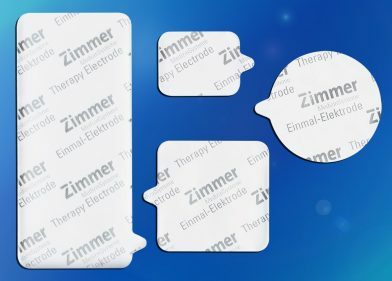 Zimmer’s most popular electrode. Highly effective and round for ease of use. 2.25″ Diameter, Available in Box and Case. Our most economical electrode. It is great for smaller extremities. 1.25″ x 1.5″ Available in Box and Case. The ultimate in patient comfort. 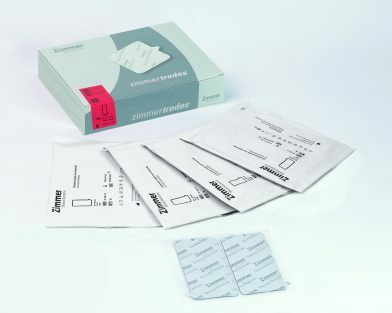 Great as a dispersion pad for ultrasound /combination treatments. 5″ x 2.25″ Available in Box and Case. 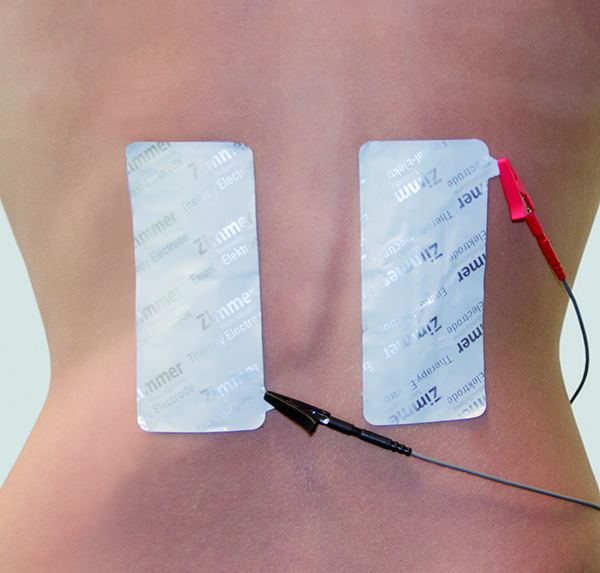 Our new square electrodes offer the same benefits as the small electrode, but with more coverage area. 2″ x 2″ Available in Box and Case. 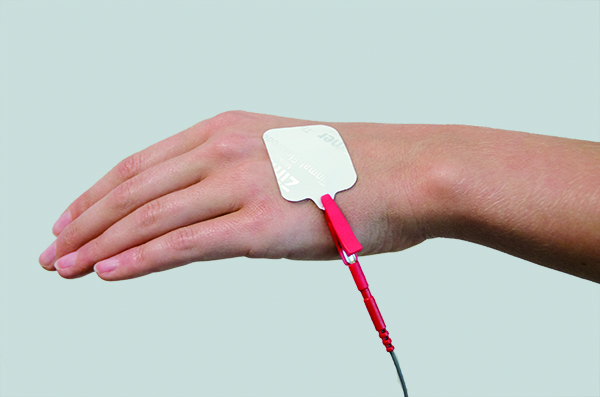 The only hygienic electrode is a single use electrode! 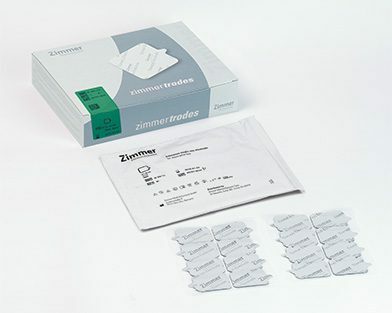 For over 25 years therapists and doctors around the world have trusted Zimmer’s single use Z Trodes. 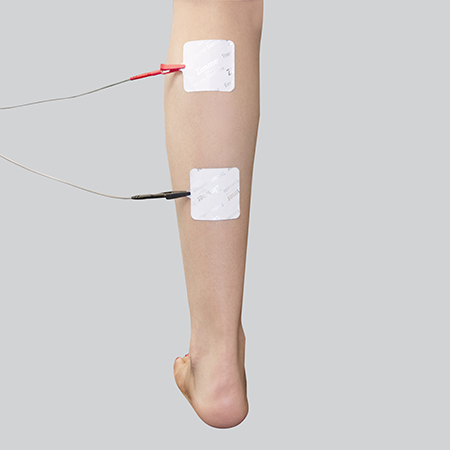 Z Trodes are available in 4 convenient sizes to fit virtually all treatment applications. 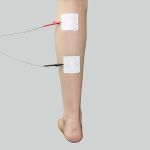 Z Trodes are the only real hygienic solution to electrical stimulation. 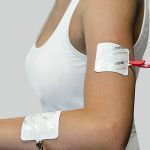 This standard of single use electrodes is adhered to in numerous other medical applications such as EMG, EEG, EKG, etc. 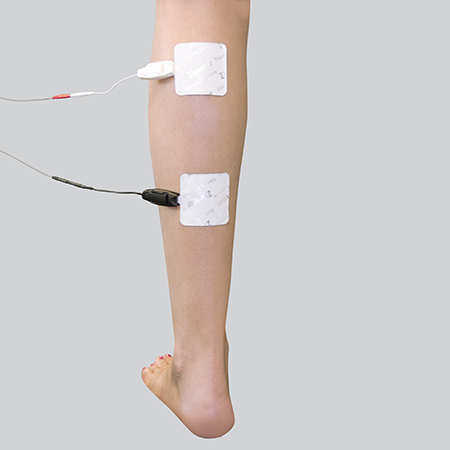 Patients treated with electrical stimulation deserve the same type of hygienic care. 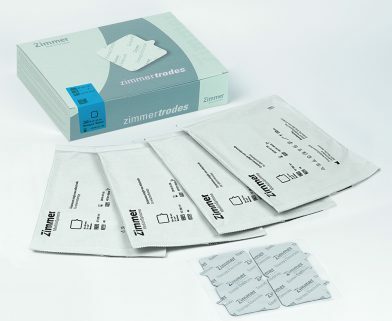 Easy to use and cost effective, Z Trodes improve the practitioner’s productivity by eliminating repetitive tasks such as filling and storing re-usable patient dedicated electrodes, applying gel, straps, etc. 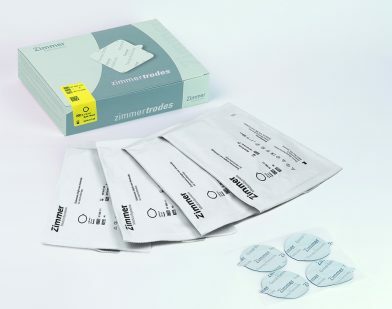 The patented Glycerol coating reduces skin irritation and maximizes patient comfort while the self-adhering single use design increases safety and consistency of the treatment. Z Trodes are designed for maximum flexibility and even current dispersion and are 98% biodegradable. 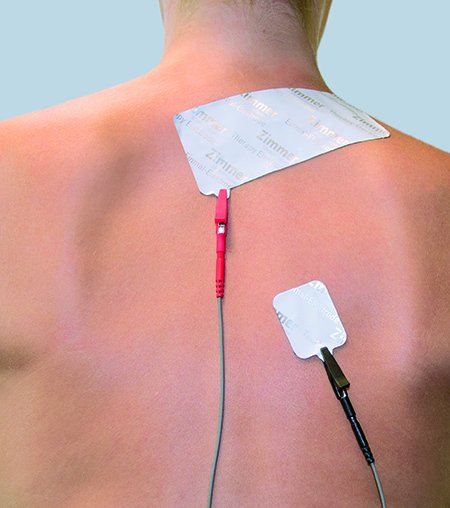 Electrical stimulation with Z Trodes single use electrodes requires an adapter. 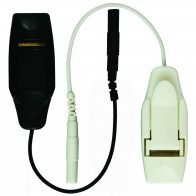 The adapter is designed to connect Z Trodes to the 2 mm pin of most electrode cables. The adapters are easy to use, cost effective, and provide for a hygienic and clean transfer of the electrical stimulus. One end of the Alligator adapter clips onto the small protrusion of the electrode, while the other end has a 2mm receptacle for the stimulator cable. 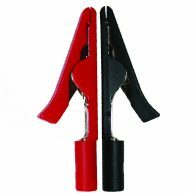 Alligator clips are sold in pairs, one red and one black one. 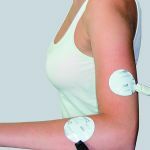 Interferential treatments would require four adapters. 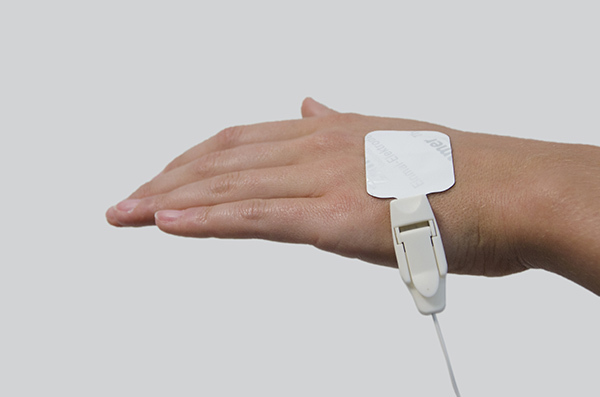 Tabloc adapters are especially designed for patients that have to lie on the electrodes during treatment. 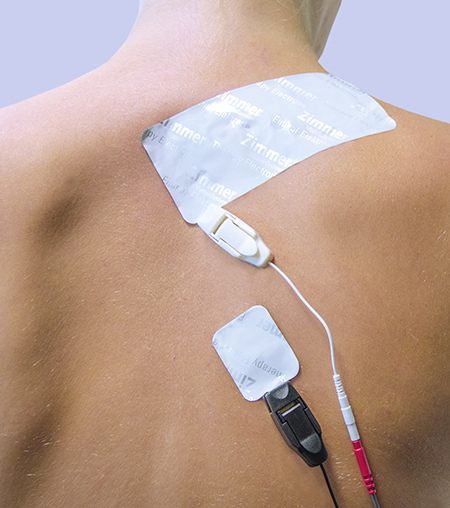 The “sliding” end of the Tabloc adapter slides onto the small protrusion of the electrode, while the other end has a short cable with the 2mm receptacle for the stimulator cable. Tabloc adapters are sold in pairs, one white and one black one. Interferential treatments would require four adapters.